Often rare to spot in the wild, the elusive moose is one of nature’s most majestic creatures. 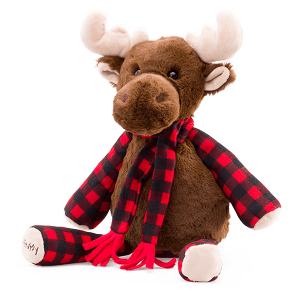 Now you can bring that wonder into your home with our adorable new Milford the Moose Scentsy Buddy. Ready for winter with a cozy flannel scarf to match his flannel arms and legs, Milford would love a warm home and loving family.